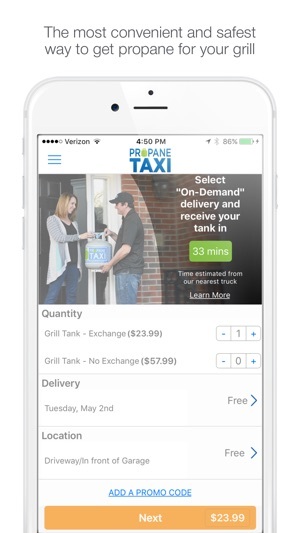 Free app to get quality tanks delivered to your doorstep in just a few clicks. 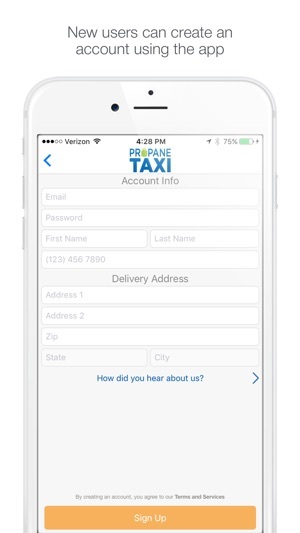 The app can be a standalone tool for your Propane Taxi account or it can sync with your existing online profile for simple ordering in just a few seconds. 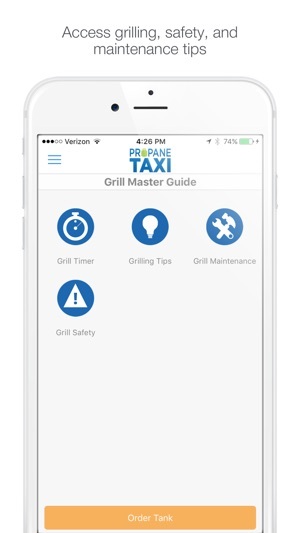 The app also gives you all of the tools you need to be a master of your grilling domain. 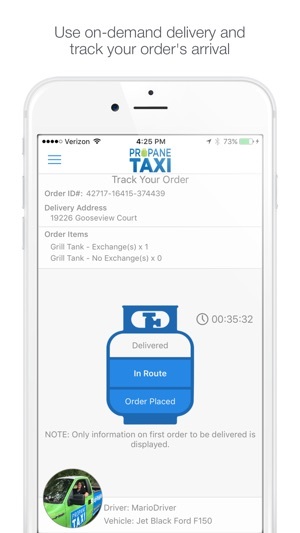 From recipes, to grill safety tips to a built in cook timer, the Propane Taxi app, just like the Propane Taxi service, makes expert grilling so much easier. We have a gas grill and a fire pit. 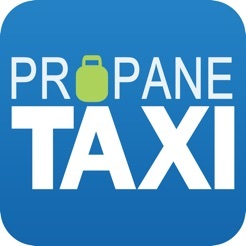 We love propane taxi. Convenient and the cost is the same. I can order on iPhone. Perfect. They come when they say. Can’t brag enough about them. 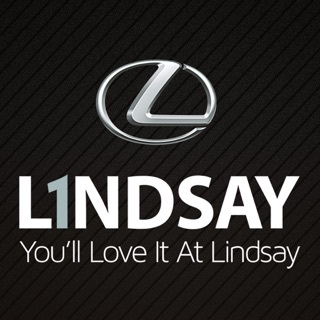 Great app and great service. Take this weekend chore off your list and never find yourself out of gas. I love this service ! So simple. I have the latest iOS but on a 4S iPhone. The app is cut off by a third. I can initiate an order, select qty, delivery date and location, and connection service but it cannot add the item to the cart to actually purchase. I tried adjusting display settings, rotating the screen, resizing, even adjusting global text size--nothing worked. I tried downloading it to an iPad, but it performed the same since it's an iPhone app despite the larger screen format. 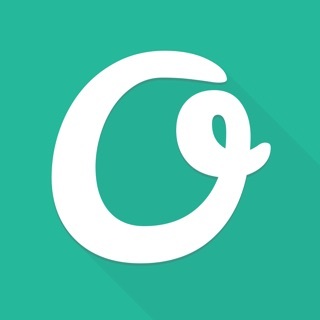 Unless you have the iPhone 6/7 with a screen the size of a small tablet, this app will be completely useless. You will have to buy your tanks via their website and forfeit the additional discount you'd receive from buying via the app. Not cool, Propane taxi.